The new line may also help Walmart lure former Toys R Us shoppers, as many chains make a play for those customers ahead of the holiday shopping season. The first-grader, who's been making YouTube videos for three years, has become a major influencer in the toy industry. The clips typically show him unboxing a toy, playing with it and then waving goodbye to viewers. His most watched video, in which Ryan hunts for large plastic eggs, has more than 1.5 billion views. Toys featured in the videos can see a spike in sales, says Jim Silver, editor of toy review site TTPM.com. "Ryan is a celebrity," he says. "Kids watch his videos. He's entertaining." So much so that toy makers have paid Ryan and his parents to feature their products. 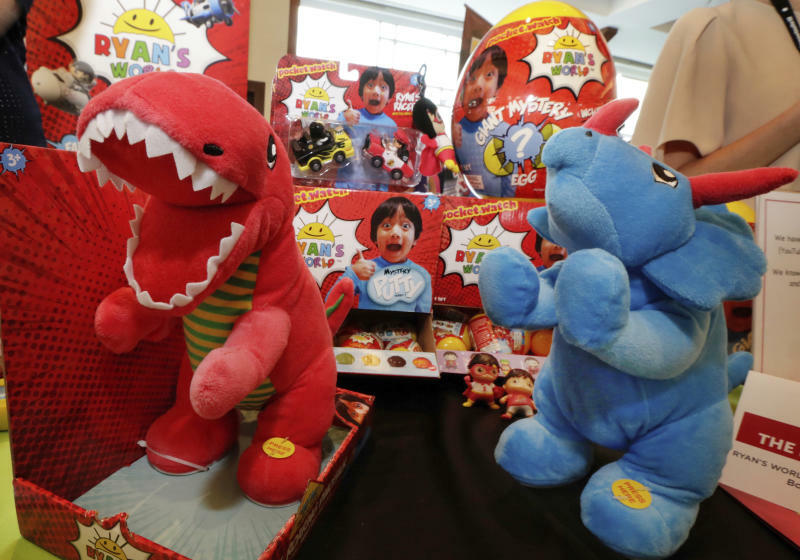 Forbes magazine estimated that the Ryan ToysReview YouTube channel brought in $11 million last year, but his parents, Shion and Loann, declined to confirm that number or give any financial details about Ryan's deals. They also do not give their last name or say where they live for privacy and safety reasons. 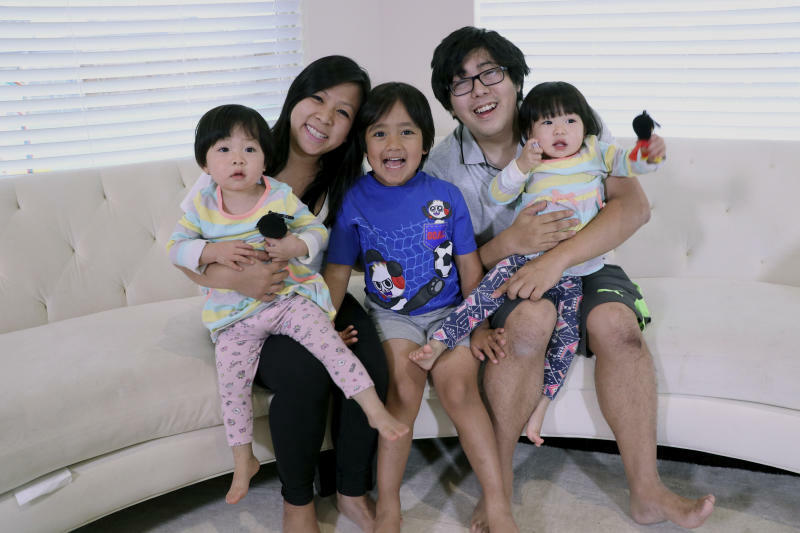 Ryan's path from reviewer to tiny toy mogul started last year when his parents signed with Pocket.watch, a two-year-old company that works with several YouTube personalities to get their names on clothing, books and other products. Ryan is the first with a product line because of his large audience, Pocket.watch says. Last month, Walmart started selling Ryan's World bright-colored slime for $4, 5-inch Ryan action figures for $9 and french fry-shaped squishy toys for $18. The retailer is the exclusive seller of some of the line, including T-shirts and stuffed animals. Whether kids will want them "all comes down to the toy," says Silver, adding that hits are made in the playground, where youngsters show off their toys and tell others about it. What Ryan does have is a built-in audience. A video of him searching the aisles of Walmart for Ryan's World toys has nearly 10 million views in a month, and his YouTube page has more than 16 million subscribers. Anne Marie Kehoe, who oversees Walmart's toy department, says a couple of thousand people showed up to a recent appearance at an Arkansas store just to see a kid "jumping around and acting crazy." Ryan, in a phone interview, says a lot of those people wanted his picture. He then left the phone call to play. His parents, who stayed on the line, say Ryan spends about 90 minutes a week recording YouTube videos. They say he helped with the creation of some of the toys, like when he asked for an evil twin version of himself for a figurine. "I'm always amazed at the point of view Ryan has," his dad Shion says. Chris Williams, Pocket.watch's founder and CEO, sees Ryan as a franchise, like how "Nickelodeon looks at SpongeBob." But unlike a cartoon sponge, Ryan will grow up. Williams says he expects the products to evolve with Ryan's taste. And Ryan's parents agree, saying they're prepared to follow his interests as he gets older, like to video games. "We can change," Shion says.